Drive your ship through your foes and destroy them! 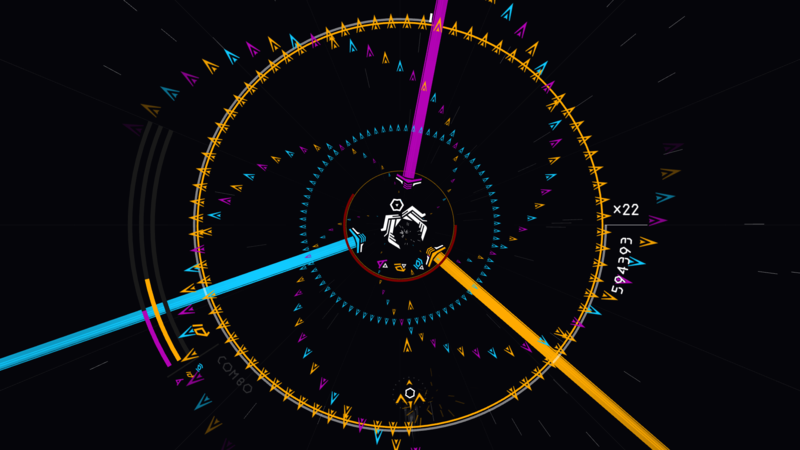 In this circular bullet-hell, switch colours to absorb projectiles, build up energy and unleash your powers. Overcome huge waves of enemies and master your combos to reach the best score possible! Play with the depth of the map to manage waves of enemies. A colour system to absorb enemy bullets and optimize your damages. Deep and rewarding combo system. — If the enemy and the player have the same colour, player’s projectiles will deal less damages to those enemies. When they die, they fill said colour power gauge. Use your power resource to unleash your true power. Unlock another power thanks to the combo system and destroy all your enemies. Combos are useful for two things: improve the player’s score and the multiplier. Super-combos are secret combos that release powerful effects: fill every power gauge, replace the current power with another one, and so much more!